I’ve written before on the left brain-right brain conundrum, but I didn’t really offer any solutions. Today’s post is all about solutions. The left brain is the conscious, logical side. If you’re a writer, this is where your Inner Editor resides. All writers have an Inner Editor—that’s the voice that tells you everything you write is garbage. The Inner Editor is a bully. The right brain is the subconscious, creative side. That’s where the Muse lives hides. There’s a bridge between the two sides (the corpus callosum), but most of us struggle to get across it, because smack in the middle of it is the massive barricade commonly known as Writer’s Block. 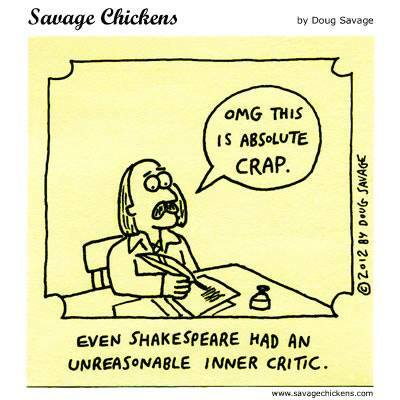 No matter how hard we try to shut up the Inner Critic and no matter how persuasively we try to reassure the Muse that it’s safe to come out, the obstruction hinders communication between the two sides. Heuristics are like a set of tools that can dismantle the roadblock piece by piece. 1. Mind Mapping: Pretty much everyone these days learns to do this in about the third grade, but by the time they hit college, they’ve largely given up on it as a kid’s kind of thing. Bring it back out. It’s useful. Really. Start with a topic or an idea. Write it in the middle of a piece of paper and draw a circle around it. (This is a great opportunity to go wild with colored pens and pencils. The Muse loves color!) Draw a few radii out from the center circle and define a subtopic for each one, again with a circle around each. Then give each subtopic its own set of subtopics, etc. Don’t censor yourself. Sometimes ideas that look like crap at first can turn into very useful stuff indeed. And if an idea doesn’t pan out, you simply won’t wind up using it in your story/article/novel. No sweat. The point is, nobody’s ever going to see this but you. In writing fiction, one strategy you can try is to start with the title of a story in the center (Level A–see the sample below), and then the elements of fiction in the Level B subtopic areas (character, setting, plot, symbolism, theme, point of view). You can then give each of these a few radii and new bubbles of their own (Level C), and each bubble will then continue to branch further and further out (Levels D, E, etc.). Some ideas will spider further out than others, and that’s fine. 2. Directed Freewriting: Ask yourself a question. It might be about a character, or about the relationship between two characters. It might be about motivation (either yours or a character’s), or a particular conflict, symbol, setting, or theme. Just keep it narrow and focused. Something like “Why does Sammy shut the door in Paul’s face?” can be a good question, or “What’s important about the rain in this scene?” Just make sure you’re not asking a yes-or-no question, or an either-or question. Try to use Why or How questions, since those lend themselves to more useful exploration. Now write down the question, set a timer for five minutes (or ten, but I like five), and write nonstop in answer to the question. Don’t stop writing for anything, not even to think about what to write next. Just write whatever is in your head. If you’re thinking, “this is stupid, I’ve got better things to do,” then that’s what you’re going to write. The idea is to get in tune with what’s in your head and get into the habit of writing it down. This is a great strategy for opening the communications between the brain and the hands. In particular, don’t stop to fix typos, and don’t stop to reword anything. Just write until the timer goes off. This isn’t getting published. Nobody’s going to see it but you. Anything useful that you produce during these sessions can be crafted later. Freewriting all by itself can be useful, but it doesn’t really become a heuristic activity until you start looping. 3. Looping: When your freewriting timer goes off, finish the sentence you’re on and stop writing. Read what you wrote and highlight anything in it that looks potentially useful or interesting. Set the timer again and do a new freewrite on one of the ideas you just highlighted. Repeat. Repeat. Repeat. Looping forces you to go deeper into a topic than your initial ideas might otherwise take you, and it’s a great way to overcome writer’s block. 4. Fact-Idea List: Divide a sheet of paper (or a word document) into two halves. On the left side, list all of the facts about your topic that you can think of. (This is a good place to list details from your research.) Then, on the right side, list all of your ideas. Now look at the list of facts and see if you can combine any of them to create new ideas. Add the new ideas to the Ideas side of the sheet. Then look at each idea on the Idea side, and try to take it apart to determine what facts led to it. List the new facts on the facts side. A fact-idea list uses both inductive and deductive reasoning to force its creator to come up with new ideas, and it also draws attention to facts that might not previously have seemed significant. Have fun crossing the bridge! Have you ever tried any of these? Do you have other strategies that work for you? I’d love to hear about them! I kind of do the free-thinking thing, but not with enough structure to be heuristic I guess. I haven’t really run into writing blocks. If I don’t know what happens next (which is normal for me since I don’t plot) I just start typing. My fingers are totally connected to my right brain I think. I can’t look at the screen when I do this because my inner editor is the BOSS. Not from a “this is crap” point, but commas and typos and misplaced pronouns – oh my! It’s fun to go back and see what I’ve written – sometimes I honestly don’t know. That’s a great idea! I know writing instructors who have their students change the font to white as they write in order to prevent them from “cheating.” I’ve never had the guts to do that yet in my own work, though. I think I should give it a shot! Well, turned out learning to let my ideas spill onto the page every which way was a turning point for my fiction writing. I’ve never heard of looping, but it seems like a great way to build on something that already works for me. This such useful stuff and so well organized! As I was reading I thought about how cool it would be to have you guest post someday. Wow, really? I’d be honored! The irony here is that I uploaded this post in rough form–without even proofreading it–because my husband was clamoring to get out the door to go get our taxes done. But we’re home now and I’ve edited it a bit, and now I feel better.